When Costa Rica got its start as an expat haven more than three decades ago, it was all about retirees. But over the years, the great weather, stable government, and low cost of living have also attracted those too young to retire (or those who never want to). And they’ve found plenty of ways to support themselves—and their families—while living in a tropical paradise. The point is that no matter what your skills, experience, or interests, there’s probably a way for you to make a living in Costa Rica. 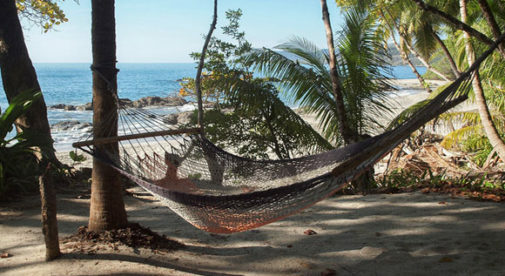 A long-time ecotourism destination, Costa Rica has a developed—but still growing—tourism sector, which is the industry most expats interested in bricks-and-mortar join. According to the Costa Rican tourism board, the number of visitors increased 3.6% from 2012 to 2013. And tourism has increased 15.6% over the last four years. The tourism business owners I’ve spoken with say the low start-up costs and wide range of opportunity is what compelled them to set up shop in Costa Rica. And they find that they can work much less than they would have to in a similar business in the U.S….which allows them to spend more time with family and doing things they like to do. And once they’ve gotten past the start-up stage and can hand over the day-to-day operations to employees…things gets even more relaxed. If you’d rather work for somebody else, teaching English can be the way to go. Costa Ricans are incredibly keen to learn English to land jobs in the tourism sector or with one of the multinational companies that operate in the country. You usually work part-time at one of the many schools catering to this market—with plenty of chances for recreation and travel. And your most important qualification is that you are a native English speaker. Finally, the availability of reliable high-speed Internet almost everywhere—from rural mountain villages to jungle-lined beaches—means you can work online without any issues, whether you’re a freelance professional or have an online business. You can stay in one place…or travel constantly. Your laptop is your business—you’re truly portable. Something that unites all the “working” expats of Costa Rica is that most aren’t in it to get rich…at least financially. They’re after a life rich in community, friends, and new experiences. They have a desire to embrace the pura vida lifestyle this country is known for, which means less work and more fun. And they find it in Costa Rica. What Currency is Used in Costa Rica?